Facts: We were recently asked to review a client’s Will drafted by one of the Banks. Upon perusing the Will we noted that the client had left her share of the family home to her husband as a special bequest and the remainder (the residue) of her Estate to her minor daughter, from a previous marriage. The family home was and remains heavily bonded. The Law: There exists a presumption in our law that, unless stated otherwise, a special bequest is given free of the encumbrance. This means that in the event of the client’s death her husband would receive the property bond free, having been settled from the assets comprising the residue of the Estate left to the client’s daughter. The client was unaware of the legal position as it had not been explained to her and was horrified to learn that her daughter would receive significantly less than what was intended. Conclusion: This not only highlights the importance of involving a specialist attorney in the drafting of a client’s Will but also, when discussing the implications of a special bequest with your client, presents a great opportunity to discuss and position life assurance to take care of the encumbrance (usually in the form of bonds, car finance and loan accounts) upon the client’s death. 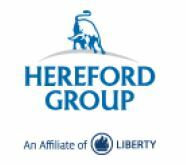 Hereford Private Wealth Management: The Hereford Private Wealth Management division was established to provide high net worth individuals a level of expertise and advice not readily available in the South African market. Highly technical and complex solutions are often needed when dealing with the management of inter-generational wealth, succession planning, asset protection, estate and tax planning.